We are manufacturing a qualitative range of Bio PAC media and all type of bio media Water and Waste Water Treatment Equipment. We are using the high quality of poly propylene and other material to make Bio Fill Pac Media. 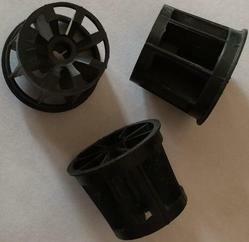 These parts have some cylindrical shape with internal ribs. Our range is used for trickling filter, anaerobic and safe parameters. They are very reliable and have a capacity to work for a long time. 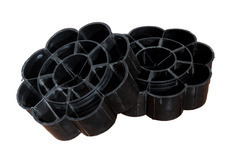 We provide them cylindrical shape with internal ribs of the water plant. They are very durable by its tendency of work. We Offer FAB Media for activated sludge process water water treatment plant, sewage treatment plant & effluent treatment plant. They are very sophisticated designed, our Random Bio Media has very exceptional durability. They all have high dimensional accuracy. they are improving the Biological treatment system with Trickling Filters and Anaerobic Digesters. They have very excellent finishing, Abrasion resistant and Corrosion resistant. These equipment are very easy to operate. We offer them at very affordable prices. Used where waste water is generated. Trapezoidal Cylindrical Bio PAC Media is used for fish farming, waste water treatment, filter media and fish jar. They are very light in weight and have a tendency of biofilm. 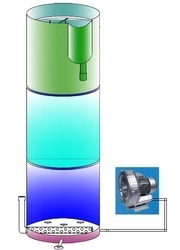 In these kinds of equipment, kept filters are used. They have the process of self-cleaning. 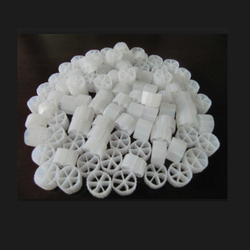 They are used for water industries and it has white color flake. We are providing these products in the market at very affordable prices. We are a big manufacture supplier of compact RAS system for Aquaculture system.